This is my latest project and is quickly becoming a favourite. Need to stress these are the first round of preliminarily ideas to be thrashed out so it is most assuredly early-days. There is, however, always a chance that the final design may end up being almost identical to the one above, but this ultimately comes down to the client. 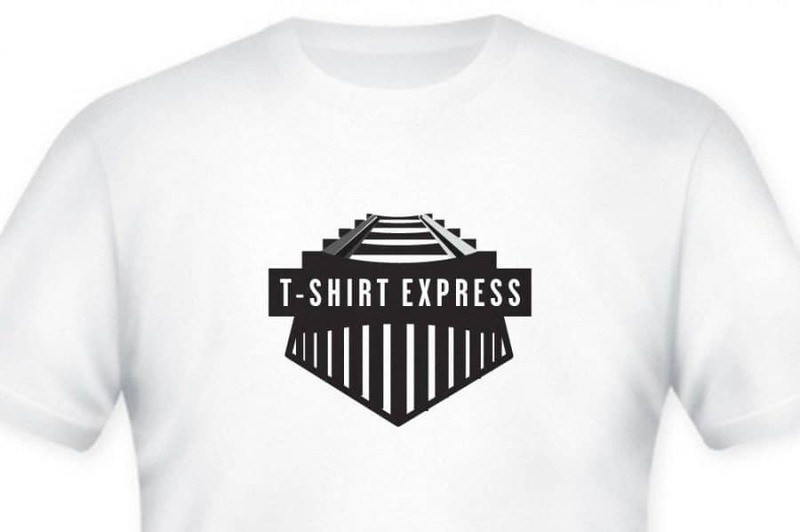 This logo design project is a brand update for a t-shirt company which was originally designed around a retro style locomotive; the brand name “T-Shirt Express” is linked to the train version of “express” rather than pizza express! My advice to the client was to keep the idea of a train but “improve” the aesthetics as I felt the original idea was solid. No need to re-invent the wheel, so-to-speak. We discussed trains at length which gave us both a pretty good idea of the direction to take. The client liked the idea of using a “cow catcher” and/or “track” as well as giving me a list of styles of trains through out the decades. I have settled on three initial variations of the core idea which starts with the full ingredient version based on a mash-up of train styles, including: traditional steam locomotive, art-deco inspired and the heavy industrial Russian style etc. The wording plaque is formed from the shape of a track sleeper, and the typeface is GarageGothic Bold. Pretty excited about how this project has started so more news will inevitable be forthcoming over the next few weeks.